The Jennifer Lopez show is one of the top Las Vegas winter events highlighted by Sapphire Resorts Group. Guests can get a true sense of this star’s talents in her new show as she sings, dances and puts on one heck of a performance. Sapphire Resorts Group is excited to welcome mega-superstar Jennifer Lopez to Las Vegas this winter. This leader in vacation lodging invites guests from across the globe to come see this singer, dancer and actress perform in the fun city of Las Vegas. Beginning January 20, visitors can attend the Jennifer Lopez: All I Have show on specific dates. The site of Lopez’s first headliner residency is Planet Hollywood’s AXIS Theater. Guests can get a true sense of this star’s talents in her new show as she sings, dances and puts on one heck of a performance. As many fans will be thrilled about seeing Jennifer Lopez, Sapphire Resorts Group recommends acquiring tickets well in advance. Attendees of this live show can expect to hear favorites, listen to a band, see J. Lo in glamorous costumes and watch dancers in a world-class production. Jennifer Lopez is an international sensation famous for acting, dancing, writing, fashion designing, singing and producing. She danced her way into America’s hearts as a dancer on the Fox show, In Living Color, before landing the lead role in the biopic, Selena. She has since starred in many movies and released several albums. Lopez has been the global ambassador for L’Oreal Paris, judged American Idol, introduced the Dance Again World Tour and become executive producer for The Fosters. Shows are to be held on select dates in Las Vegas this winter and are currently on sale. Guest services at Sapphire Resorts Group can arrange to help procure tickets to Jennifer Lopez: All I Have. Although this event can be fun for families, children age six and under are not allowed. The AXIS Theater of Planet Hollywood Resort and Casino will be the only venue where guests can see Lopez perform live in North America this winter. 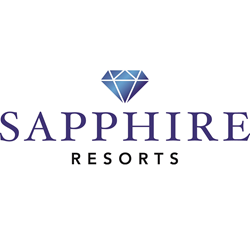 Sapphire Resorts Group shares that the AXIS has hosted Miss Universe pageants, Justin Timberlake, Alicia Keys, Willie Nelson and Britney Spears. This theater is conveniently located along the Las Vegas Strip. When traveling to Las Vegas, going to the new Jennifer Lopez: All I Have show can be a must-see. Sapphire Resorts Group knows this event can be the perfect diversion in the middle of winter.